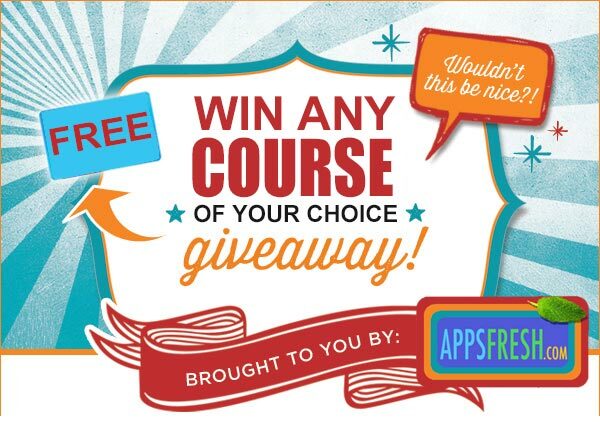 AppsFresh's goal is to enable people that want to make cool stuff on a low budget. At AppsFresh we eat our own dowg food. We teach what we do, and we do what we teach. We're a place to teach people how to make apps and games. Whether it's just a hobby for you, or it's your business, this website is for you. We teach people how to make games using Unity 3D, native iOS or Android to name a few. Now what makes us unique and differentiates us from any other websites is that we always have "business" in mind. It's cool to learn how to make games, but it's a lot better if you can make money and turn your passion into a lifestyle, where you have multiple revenue stream that enable you to live the life you always wanted. 1) The regular way, where you need to learn how to program, how to make graphics, and publish your app or game in the app store such like Google Play store, Amazin app store, XBox , Playstation, Steam and iTunes app store. 2) if you're a total newbie, or you think of yourself as a hustler, or you just want to quickly get started building an app portfolio, we recommend to start with Reskinning. Now reskinning is about taking a source code of a professional game or an app that we already made for you (take a look at our source code section) and then you change the graphics and the sounds, change the title, and you're ready to publish the app. Apps are setup so that they have advertising networks and in-app purchases already integrated inside of them, so that they can potentialy bring on revenue as soon as they are published. Reskinning is for everyone. We have students that have successfully done it at age ranging from 11 to 16, without any external help. What's so unique about AppsFresh? There are already a few mobile app source code marketplaces offering to buy app source code! While this is true, at AppsFresh, we are committed to only provide and feature quality iOS source code for sale that are easy to reskin and that we know are making money for your app flipping business. Furthermore, each source code is checked and tested by Yohann before being on sale on AppsFresh. Yohann provides unconditional support when it comes to the quality of the source code in question. Find out the advantages of having a ready app source codes to work from. Why buy app source code? Last but not least, the majority of these mobile app source codes come with Yohann Taieb's 5 stars online video tutorials and iOS app tutorial. They are designed so that you can follow his instructions on video every step of the way until you publish your game to the App Store. There is really no reasons to fail. Once you decide to dive into the online video app course tutorial, you're already a few steps away from this wonderful mobile app flipping and app reskinning business. In addition to that, come check out Yohann's video courses and iOS app tutorial which include the mobile app soure code. Rev up your app flipping business portfolio with this great addition to our quality iOS app source code. The 2048 puzzle game source code is very popular and addictive. We find it to be a great candidate for an app reskinning makeover. Also, don't miss out on our cutting edge app store optimization (ASO) packages. This is an amazing way to improve your keywords and get your app the exposure it deserves on the App Store. The more visibility your app has, the more optimized your keywords are, the more downloads your app will get. It doesn't get easier than that. If you never heard about App Store Optimization before, this is a good time to find out about the basics of App store optimization (ASO). This is a crucial step along with keyword research in order to make your app a successful app. Why buy iPhone mobile app source code? Start thinking about app reskinning and get your app flipping business going in this hot industry. Generating streaming revenues through advertising networks is a great way to start making money with your apps. There are a lot of advantages of creating apps by flipping and reskinning them. Learn more about the benefits of apps reskinning. We also have read-to-go content Graphic Packs to help you get started with the reskin of your app. They're literally cut and paste into your game folder. Come and listen to our App flipping & app reskinning podcast episodes and find out how appreneurs run a successful app reskinning business. There is also a fantastic online video tutorial featured on that we recommend if you decide to start building revenues from your apps. Enter the coupon code: WIRED to get an instant 39% OFF when you buy the app source code that comes with the 5 star online video tutorial to show you how to make a Flappy Bird Clone! Listen to our latest podcast where Simon Crack gives out Tips & Tricks on mobile App Reskinning with Unity 3D. Another AppFresh student success story! Check out Sergio's Flying Nashi podcast with his Super Nashi iOS game which topped #1 on the Japanese App Store! Click below before you plan on flipping this app. We are featuring the concept of mobile app flipping, app reskinning for the solo entrepreneur and independent developers. We will be inviting entrepreneurs who are building/reskinning apps and games all the way to the App Store. The mobile industry is one of the hottest sector. It is a billion dollar industry that is still new and got plenty of opportunity to get in. So don’t wait any longer and jump in with this step by step iPhone game kit. It’s the easiest way to get in the iPhone app store and get to understand the whole process. It’s a great way to learn skills to cut developer and graphic designer costs. Contact Us for custom app reskinning services, find out about our reskinning packages!